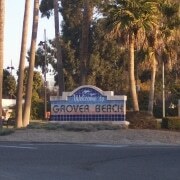 Grover Beach City Council discusses Community Choice Energy program, by KSBY Staff, KSBY, April 15, 2019. With 19 programs in existence statewide, CCEs purchase their own energy and sell it to customers via PG&E’s existing infrastructure. The agencies are governed by local elected officials, through boards of directors. Killigrew said since its launch in 2018, MBCP has been able to beat PG&E’s rates with a carbon-free energy portfolio—providing 3 percent rebates to customers. 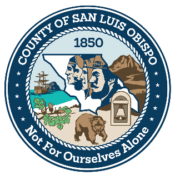 According to MBCP’s presentations to the local cities, SLO County customers could save an estimated $4 million per year in electricity costs if all residents and businesses joined. Paso Robles customers would save about $500,000; Arroyo Grande’s about $165,000. “One [council member] said, ‘I’m going to ask you some pointed questions because this just sounds too good to be true,'” Bergman said with a laugh. “The council was very supportive,” McKinley said. More cities explore Community Choice Energy, by Peter Johnson, New Times SLO, April 11, 2019. The dream of Morro Bay as a new hub of offshore renewable energy production in California could be over before it even gets its sea legs — or it could just be ramping up. Three companies propose to add hundreds of new wells and associated pipelines to extract thick crude using thermally enhanced recovery — an energy-intensive process to recover heavy oils that can’t flow unless they are heated — and then truck the oil on rural roads and highways. The projects would bring a new pulse of activity — along with tax revenue and risk of spills — to Cat Canyon Oil Field, a historic site of oil production up the road from Santa Maria into the rolling oak-covered Solomon Hills. 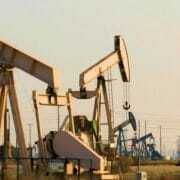 Hundreds of new oil wells could soon triple Santa Barbara County production, by Monica Vaughn, San Luis Obispo Tribune, March 18, 2019. Santa Barbara, CA — The Clean Coalition and the World Business Academy are pleased to announce that on Monday, February 25,the Montecito Fire Protection District Board of Directors unanimously authorized Fire Chief Chip Hickman to draft a memorandum of understanding (MOU) to proceed with Community Microgrid efforts for the Fire Protection District headquarters and fire stations. This Community Microgrid represents the first building block in the Montecito Community Microgrid Initiative, which will bring renewables-driven resilience to Montecito — allowing critical facilities like fire stations, emergency shelters, and critical water and communications infrastructureto remain online indefinitely, even during extended grid outages. The Montecito Community Microgrid Initiative is led by a Steering Committee comprised of dedicated leaders from throughout Montecito, which Judi Weisbart, VP of Community Relations for the World Business Academy, has helped to assemble.Members of the Steering Committee include Diane Boss, Sharon Byrne, Tom Dain, Cindy Feinberg, Julianna Friedman, Berna Kieler, Lee Lysne, Sara Miller McCune, Cheryl Tomchin, and Mike Weissman. Since 1987, the World Business Academy has operated as a 501(c)(3) nonprofit think tank focused on the role business can and should play in solving humanity’s largest challenges. Over the past five years, the Academy has transitioned into an action incubator for energy, economic and environmental causes that directly impact our community. The Academy advocates for sustainable energy use by working to elevate the consciousness of people in the business community and encouraging them to use their influence to take responsibility for the environment. The Academy’s 30-year advocacy and litigation track record includes the closure of San Onofre Nuclear Generating Station, the rejection of the Ellwood and Puente natural gas peaker plants, and litigation to enforce CEQA review as part of the continued operation of the Diablo Canyon nuclear power plant. Monterey Bay Community Power celebrates its one-year anniversary and looks to the future. When we flip a switch or plug in our phones, we don’t usually think about how or where that power comes from. From customer to source, our power structure pre-dates thoughtful consumption: The first electricity grid was built 100 miles north in San Francisco in 1879, 15 years before the radio was invented. California still relies on a lot of antiquated energy infrastructure, making it challenging for a state of 40 million people to put fossil fuels in the rear view mirror. I’m committed to making it happen. For the last year, Monterey Bay Community Power has been changing where our power comes from, starting by delivering carbon-free electricity to customers in Monterey, Santa Cruz and San Benito counties. MBCP started two years ago, when a coalition of community leaders decided that tackling the issue of sustainable power was too important to kick down the road any longer. We wanted to source clean energy, deliver it to households and businesses, and if possible, do it at affordable rates that saved them money. MBCP is a unique agency that under California’s Community Choice Aggregation model can buy electricity from renewable sources wholesale and deliver it to customers in our region using PG&E’s existing infrastructure and delivery systems. Exactly one year ago, MBCP started delivering clean power to commercial customers in the tri-county region, and residential service started last July. This month, we celebrate the agency’s first birthday. It’s been an exciting first year. We paid back loans to each of the three member counties, served over 270,000 customers, and bought 2,400 gigawatt-hours of power from sources like solar, hydro and wind. All that clean energy meant less carbon emissions. In 2018, MBCP reduced an estimated 300,000 metric tons of carbon emissions. For a non-scientist like me, that roughly translates into taking 64,000 cars off the road for one year. The most exciting part? Not only are we consuming energy more thoughtfully, we are re-investing in energy infrastructure for clean energy sources to benefit us and our planet for decades. Two solar projects that we have broken ground on will generate enough power for 32,000 homes. That is significant for our customers, but also doubles the long-term megawatt capacity from renewable energy facilities across the state’s 18 other CCA agencies like ours. MBCP is a local organization looking to the future. We’re already talking about micro-grids that will take energy infrastructure even further. Ultimately, we want to be building infrastructure that can last for the next 140 years and beyond while supporting true economic development for the Monterey Bay region. Last year we were able to give our customers rebates totaling $4.4 million. That number will continue to grow each year. 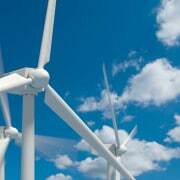 The future is carbon-free in the Monterey Bay region. STEVE MCSHANE is a member of Salinas City Council and vice chair of Monterey Bay Community Power. 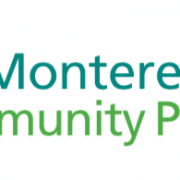 Monterey Bay Community Power celebrates its one-year anniversary and looks to the future., by Steve McShane, Monterey County Now, February 28, 2019.
https://cleanpowerexchange.org/wp-content/uploads/2016/04/Screenshot-2016-04-07-11.13.40.png 195 517 News Article Repost https://cleanpowerexchange.org/wp-content/uploads/2016/03/cpx-logo-1.png News Article Repost2019-02-28 14:13:002019-03-06 14:54:12Monterey Bay Community Power celebrates its one-year anniversary and looks to the future. 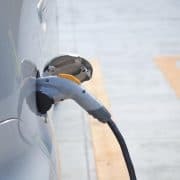 The San Luis Obispo City Council wants to discourage the use of gas appliances in favor of electric in new housing to help push along its ambitious goal of carbon neutrality by 2035. Meaning, if you want a gas oven in your new home, it’ll cost you (if all goes as planned). City staff doesn’t believe it can legally ban the use of fossil-fuel infrastructure. But the council unanimously agreed it should work toward city laws that could effectively phase out gas-powered stoves, heaters, dryers and other devices through the use of building rules that go beyond state standards to incentive the use of electric. New homeowners could choose an all-electric powered home or pay more for gas-powered appliances to fund carbon offsets. Carbon offsets address emissions generated from one source by reducing carbon emissions elsewhere, such as paying for retrofits for existing homes and buildings elsewhere in the community (retrofits would remove gas appliances and install electric power). That’s because climate-change impacts, caused by carbon emissions, are contributing to wildfires, impacted water supplies and threats to agriculture and ecosystems, according to city officials. Greenhouse gases coming from nonresidential and residential energy use made up about 40 percent of SLO’s emissions in 2016, with 51 percent coming from transportation sources (6 percent is from solid waste and 3 percent is from off-road). The council is working toward an aggressive target to be carbon neutral by 2035. 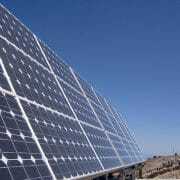 Carbon neutrality, or net-zero energy, is the concept of reducing as much carbon dioxide and other greenhouse gases from the atmosphere as possible, with the overall goal to achieve a zero-carbon footprint. The city is awaiting the construction of 1,300 new homes with the approved San Luis Ranch and Avila Ranch developments. Both projects have development agreements stating they’ll comply with new city policy on energy use at the time their building permits are issued — and the developers are on board with ideas for environmentally friendly energy uses regardless of policy, according to city officials. Councilwoman Erica Stewart, a former baker and caterer, said she thinks professional chefs and those who enjoy cooking at home may object to the idea of electric-powered cooking devices over gas stoves and ovens. Mayor Heidi Harmon also said she anticipates similar cooking concerns. But she said many people aren’t yet familiar with how induction cookware works, and she hopes they can get acquainted with those tools. Induction cookware heats up food electrically, and Harmon said it would be important for people to get more comfortable with those types of tools. City staff said more work needs to be done to analyze the cost effectiveness of the program and to comply with state law. Chris Read, the city’s sustainability manager, said he’ll be researching whether the possible new city code would “save more energy than the current statewide (energy) standards and that the code is cost effective for the building occupant” — both requirements to get regulatory approval from the California Energy Commission on new local laws. Read said that means paying about the same or less on utility bills under a new policy (compared with what residents would pay under the state standard) over the lifetime of the home. 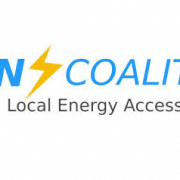 SLO also is converting to a Community Choice Energy program, in which energy provided to city residents would come from nearly all renewable energy sources — thus future new buildings that use all electrical appliances wouldn’t emit much, if any, greenhouse gases. If you want a gas stove at home, it could cost you extra under new SLO proposal, by Nick Wilson, The San Luis Obispo Tribune, February 23, 2019. As PG&E begins bankruptcy proceedings, Monterey Bay Community Power gauges uncertainty. Last July, you might’ve noticed a change on your monthly bill from Pacific Gas & Electric. Or maybe not. But unless you opted out, residents of Monterey, Santa Cruz and San Benito counties were automatically enrolled as customers of Monterey Bay Community Power, a new community choice aggregation model, or CCA, that buys electricity from renewable sources. PG&E buys that power from Monterey Bay Community Power, and transmits it through its existing power lines to your house, and remains the billing agency. In California, there are now 19 CCAs serving millions of customers; 12 of those CCAs are in PG&E’s territory. In 2010, PG&E was responsible for procuring or generating 100 percent of the electricity for those customers. This year, the company is responsible for just 59 percent, with the other 41 percent taken care of by CCAs, which were responsible for 1,239 megawatts of power. That means PG&E has a problem: long-term contracts the company entered into but now does not plan to fulfill. Last October, PG&E asked the California Public Utilities Commission to allow the utility to pass on some of those contractual liabilities to ratepayers. The CPUC gave PG&E its blessing, though the exact amounts of so-called “exit fees” remain to be determined, leaving Monterey Bay Community Power uncertain of how much they can build up reserves while delivering promised savings to customers. It’s against this backdrop, with PG&E already looking for how to get out of long-term contracts, that the company saw an even bigger liability looming in connection to devastating wildfires. With that risk in mind, PG&E filed for Chapter 11 bankruptcy on Jan. 29. Monterey Bay Community Power, along with the other 11 CCAs in PG&E’s service area, have already filed their first court papers in that bankruptcy case with a motion to make sure PG&E keeps paying CCAs for power as usual. One of many decisions in the bankruptcy proceedings will be whether PG&E is obligated to pay some $42 billion in agreements to buy power from about 350 renewable energy suppliers – the type of suppliers many CCAs are now buying power from. Killigrew emphasizes that as the bankruptcy case unfolds, local customers are unlikely to see any change. The next hearing in PG&E’s bankruptcy case is set for Feb. 27 in San Francisco. As PG&E begins bankruptcy proceedings, Monterey Bay Community Power gauges uncertainty, by Sara Rubin, Monterey County Weekly, February 14, 2019.
https://cleanpowerexchange.org/wp-content/uploads/2016/04/Screenshot-2016-04-07-11.13.40.png 195 517 News Article Repost https://cleanpowerexchange.org/wp-content/uploads/2016/03/cpx-logo-1.png News Article Repost2019-02-14 15:29:302019-02-19 15:37:45As PG&E begins bankruptcy proceedings, Monterey Bay Community Power gauges uncertainty.